This framed DIY wall art piece might be last minute, but you can keep it up all season. 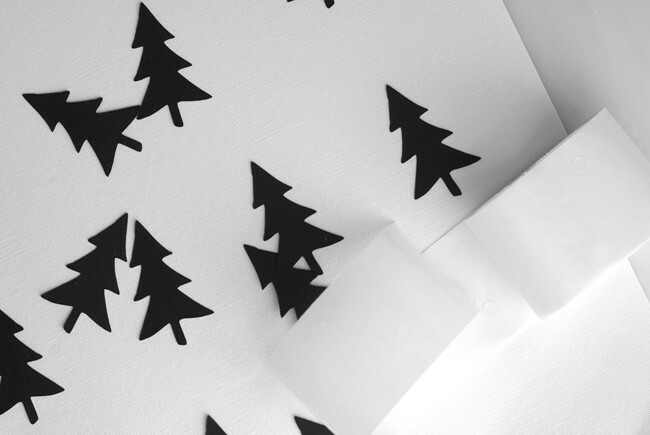 Add it to the black & white decor collection with these pinata trees and this stamped wrapping paper and you can enjoy it long after Christmas is over. 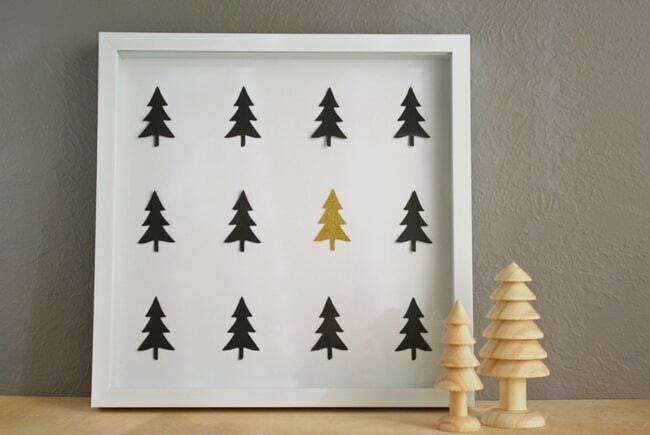 Plus this little DIY black tree art takes just a few minutes to put together and costs less than $15. Start by cutting out 12 trees. Mine are just a little taller then 2-inches tall. 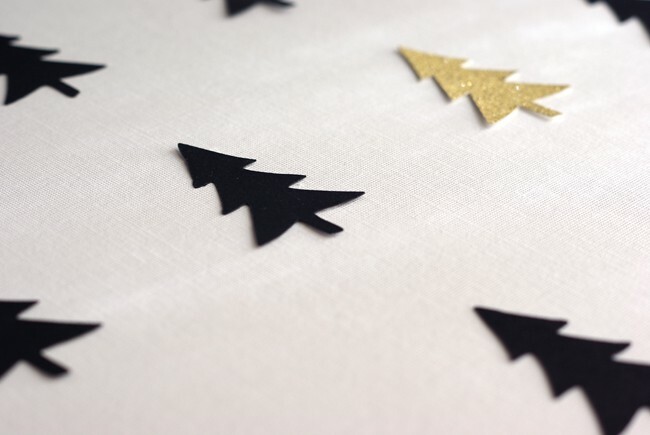 Sketch out a template of the tree you want and trace it onto the black paper and cut out your trees. I added one random glittery gold tree just for fun. It puts this very linear piece off just a bit and gives your eye something interesting to look at. Find the middle of the page and work you way out from there. Use a ruler to space the trees apart evenly. 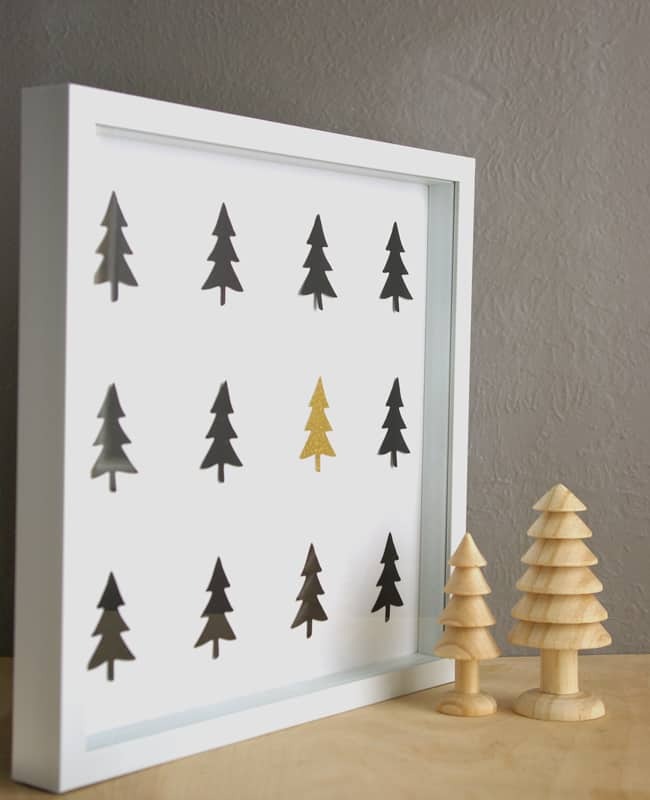 Attach the trees to the paper with glue dots and then slip the finished product into an all-white frame. Because I’m sure you’ll ask, the little wooden trees are from Hobby Lobby. I paid $2 for the small one and $3 for the big one. I had plans to paint them but now I’m digging their all-natural look! 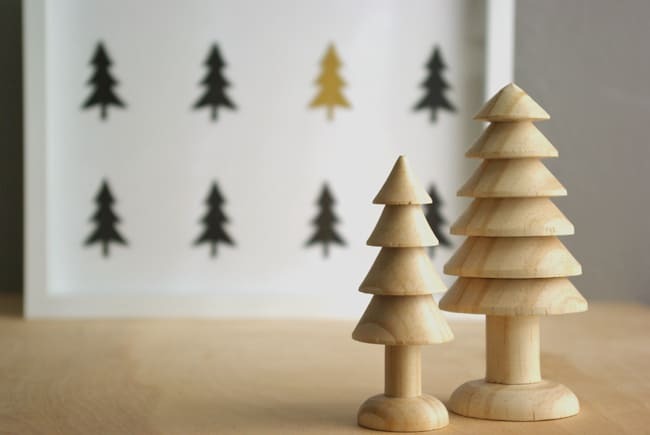 Do you have a template for your lovely tree shape? I’d be terrible at cutting such cute and uniform trees! This is a fun idea, although I do not own a cricut machine. Oh, I saw those wooden trees on pinterest the other day! They used a sharpie to make a fun pattern! You would love it, it would go with the black and white thing you have going on.